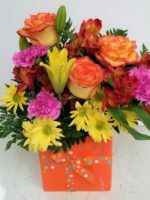 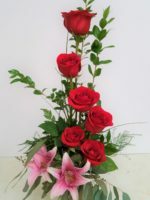 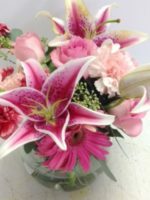 One of Tina’s favorites, this Pretty Perky Pinky floral arrangement is designed in a white vase. 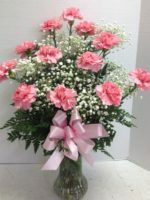 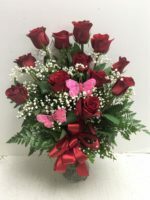 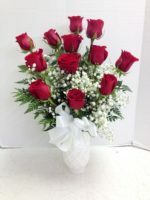 It’s loaded with pretty perky pinky roses and carnations and accented with baby’s breath and a soft white bow. 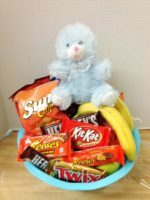 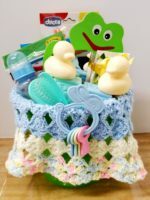 Perfect for a new baby girl, an anniversary or birthday, ideal for Mother’s Day or a sweetheart. 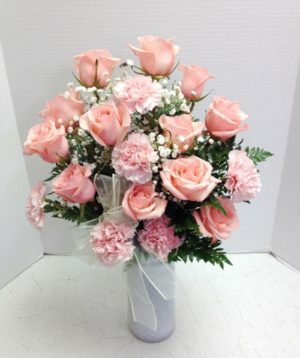 You might prefer a dozen pink roses.